Great Northern® Hot Tubs specializes in affordable, energy efficient Hot Tubs & Roll-Up Covers®. 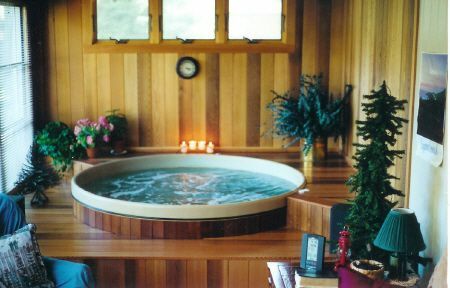 Standard & Custom Hot Tubs, Swim Spas, deep soaking Medical Therapy Tubs, and deep Exercise Tubs. Founded in 1975 Great Northern® Hot Tubs remains a multi-generational family owned organization built on pride in craftsmanship and personalized service. Great Northern® Hot Tubs is one of the oldest hot tub companies still in existence. Manufacturing is located in rural Minnesota and the offices are located in suburban Minneapolis. Our Hot Tub products are available as assembled units or low cost, easily shippable do-it-yourself kits. Our Hot Tubs are suitable for built-in or portable applications. They are ideal for indoor or year-round outdoor use, even in the harshest winters. We are a dedicated group of first and second-generation family and long term employees. As one of the oldest Hot Tub manufacturing companies still in existence, we offer you a wealth of experience and knowledge in the Hot Water Industry. Members of our staff include those who have worked for some of the early hot tub companies back in the 1970's and individuals who helped develop the National Hot Tub and Spa Standards. Some have been awarded numerous patents for unique Hydro-Therapy Products for the Hot Water Industry. Our products are unique, have proven performance, and have stood the test of time. Many of our tubs have been running for 20, 30, even 40 years and are still in use today. This is all possible because of our team's commitment to provide you with high quality durable products, excellent customer service and technical support.